Notes: Born in Essex County, Va., January 23, 1868. 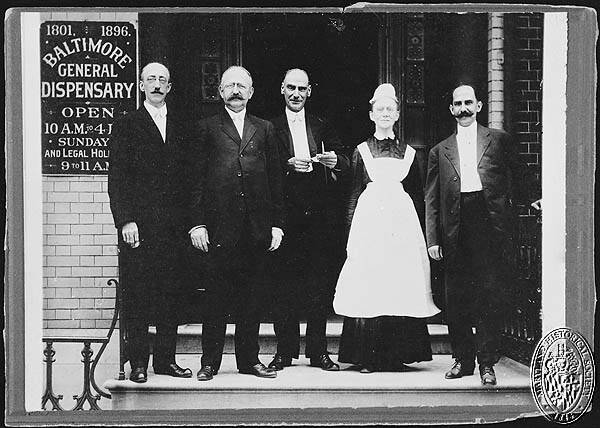 Educated at Baltimore City College; pupil of Dr. J. G. Wiltshire; M.D., College of Physicians and Surgeons, Baltimore, 1888; Resident Physician, Baltimore Eye, Ear and Throat Hospital, 1888; practiced in Greenbrier County, W. Va., 1888-91; Demonstrator of Surgery, College of Physicians and Surgeons, 1892-93; Lecturer on Diseases of the Eye and Ear, Baltimore University, 1894-95; Professor of Physiology and Hygiene, Baltimore University, 1895-98; Professor of Obstetrics, Maryland Medical College, 1898-; Physician, Baptist Orphanage and Dispensary of the Nursery and Child’s Hospital; Examiner, Improved Order of Heptasophs. 1002 Edmondson Avenue, Baltimore.